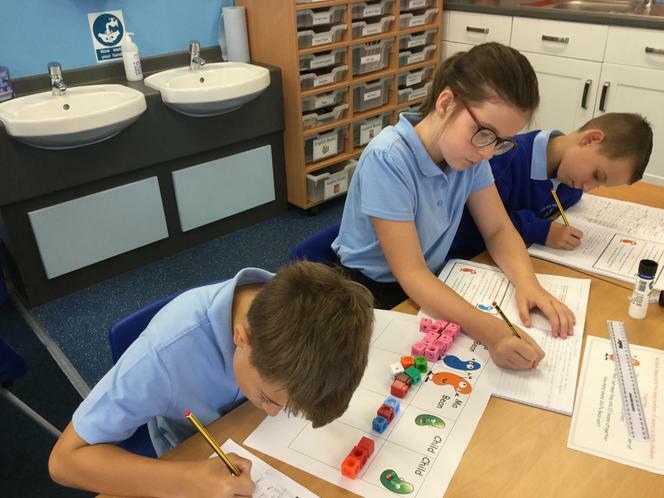 The children in Year 6 were applying their ratio knowledge to body parts. They measured different parts of their body such as: waist, neck, thumb and wrist and created a ratio and scaled down if possible. 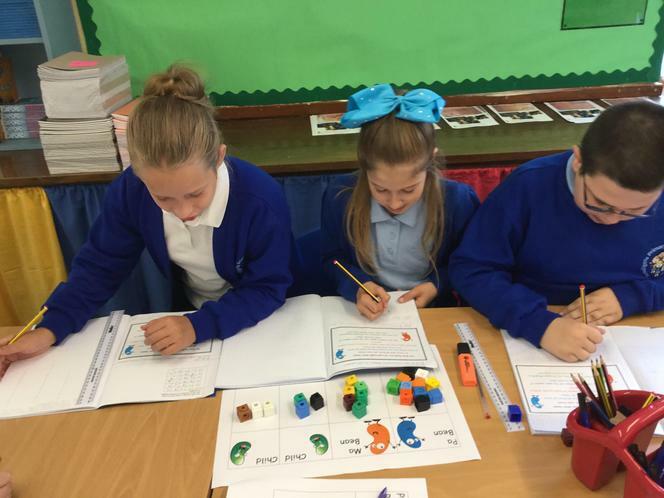 They applied their measuring skills and knowledge of multiples. 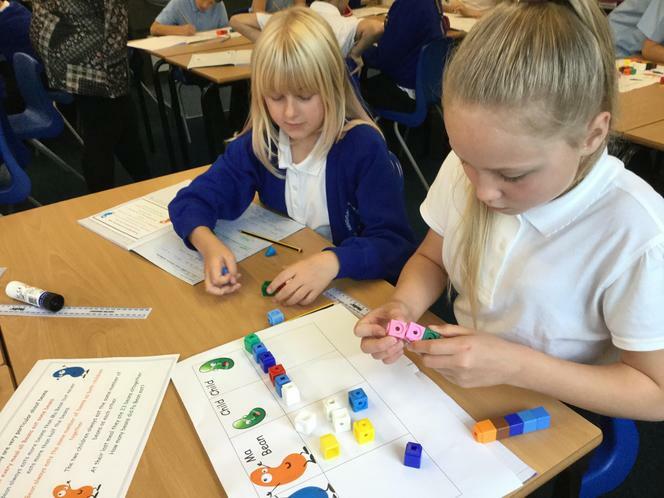 In maths, children have been trying to 'connect to three' using dice and their knowledge of operations. 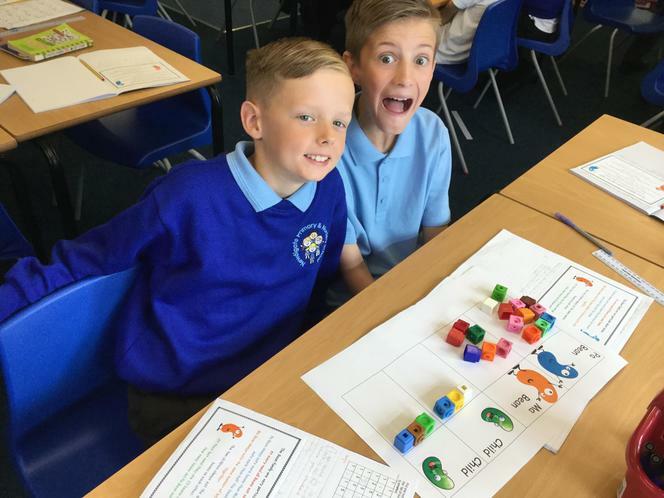 They were given a grid of positive and negative numbers, and using two dice they rolled 2 numbers and could use add or subtract to create a number sentence. They used cubes to cover their answer and the first person within the pair to connect to three, won! Jasper was called into this office and offered a promotion for his hard work and dedication! His boss said that he needed a job doing first and Jasper would receive his promotion. The job was for Jasper to turn ten lights on in the office block so that no more than two lights lie in a row or column. The children in Year 6 worked quickly an systematically to help Jasper retrieve his promotion! 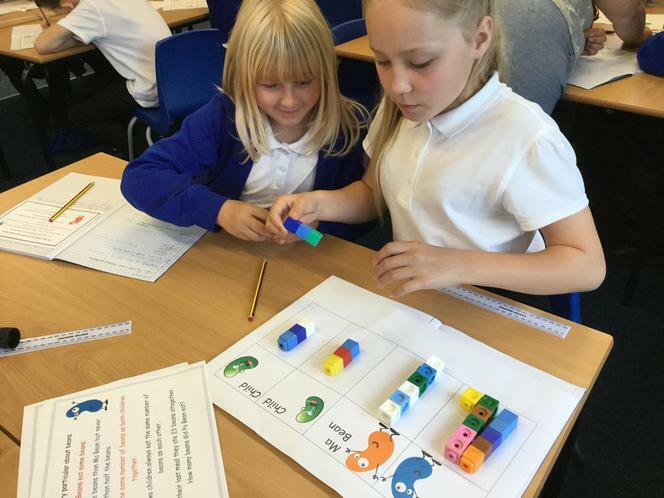 During our maths lessons, we looked closely at scale and ratio. 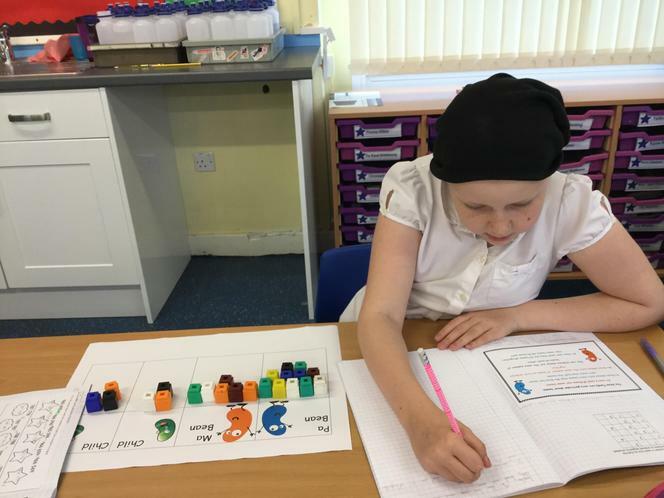 The children looked at scale factors of shapes - using the squares to help them - and identified the scale factor, which was justified with an explanation. 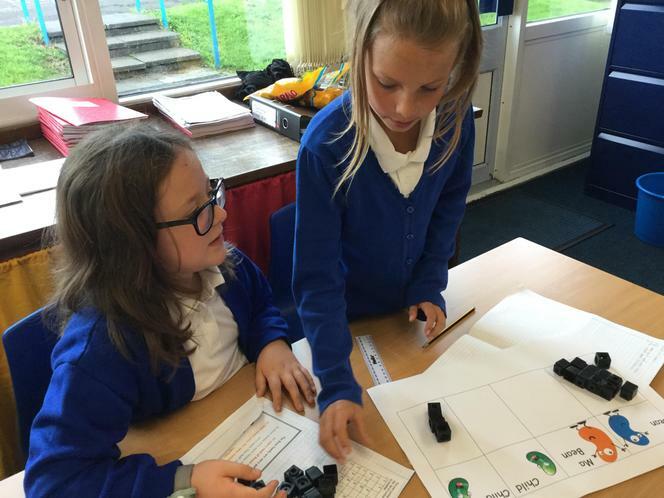 Furthermore, the children applied their knowledge and created their own questions! 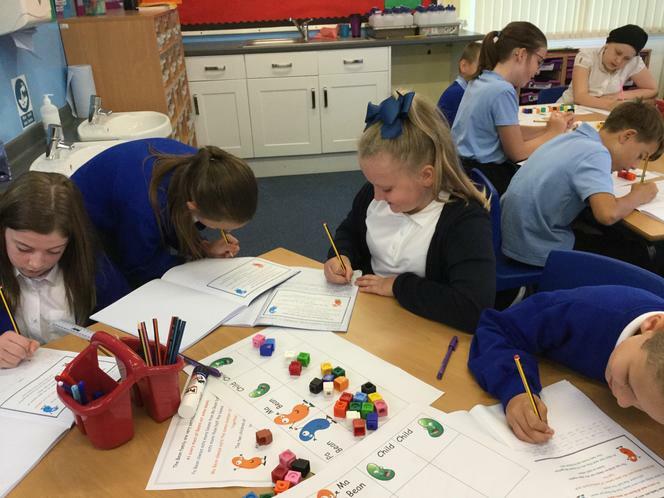 During our Jack and the Baked Beanstalk week, the children looked into a maths problem solving involving beans eating beans! 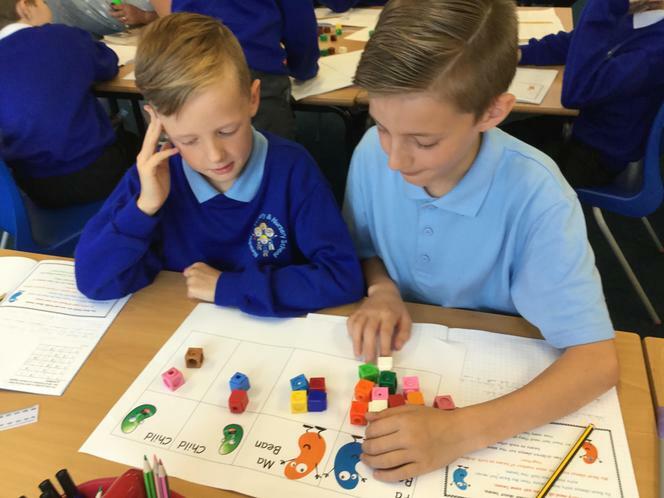 They worked in pairs and groups to solve the problem. 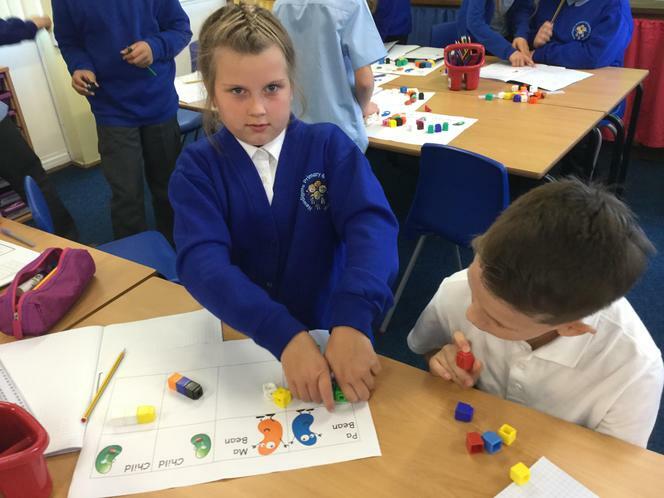 The children used cubes and mathematical strategies like trial and error to help them.